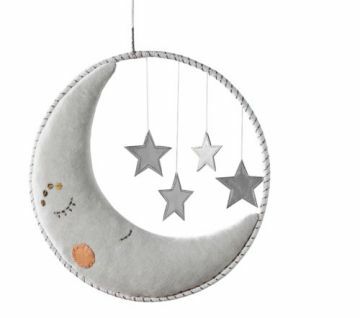 Welcome sweet dreams with a nursery that salutes a peaceful night sky. 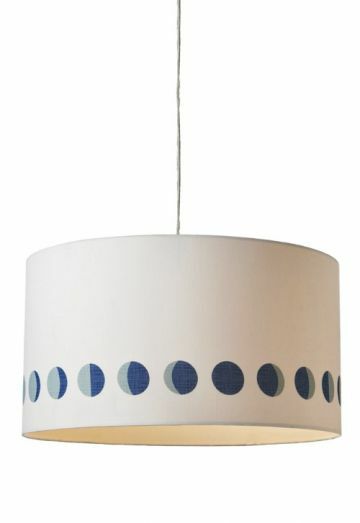 The Moon Phases Drum Pendant is subtly chic. $126. 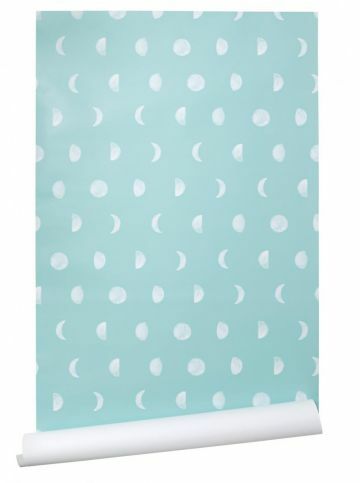 It’s a DIY dream: New Moon wallpaper goes on glue-free and is removable too. $40 for 2’ x 4’ panel. 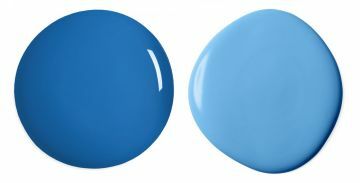 Use a hue that pops, like Brilliant Blue (left) or Bayberry Blue (right), for trim and accents. $60/gallon. 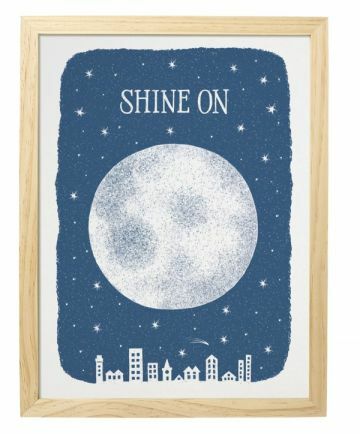 This "Shine On" print is a steal; just add a frame. $15. 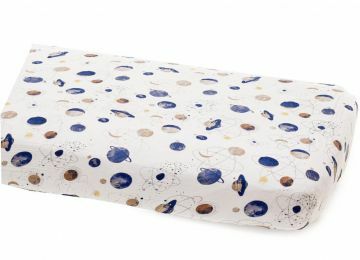 We love the planetary spin on this Cotton Muslin Crib Sheet. $27. 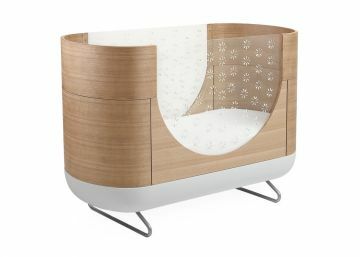 The cocoon-shaped Pod Crib converts to a toddler bed. $2,300. Hang a modern Dream Ring that plays music. $59. 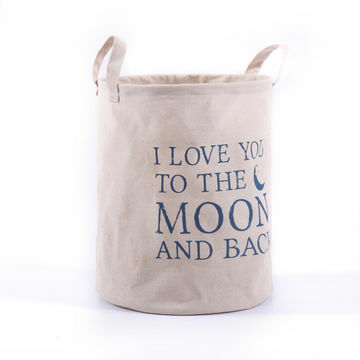 Make a statement with this Levtex Baby Moon & Back Storage Bin that is both adorable and durable. $13.